Whether your current water heater has failed and needs to be replaced or you’re planning on upgrading your water heater to a more energy efficient model, Flow Plumbing is the best choice for water heater installation in Dallas, TX! Our water heater installation services are fast and affordable and are always done by a licensed plumber. Call us today at 214-388-8838 to schedule an appointment. Flow Plumbing is a locally owned and operated company and we have been installing hot water heaters in Dallas, TX and the surrounding communities for over 25 years. All of our licensed plumbers are dispatched from our local Dallas office, ensuring that they will arrive at your home promptly and can install your new hot water heater in a timely manner. Using a local dispatch location also means that our licensed plumbers don’t have to travel long distances, and we pass on the savings on transportation costs to our customers in the form of lower prices. Give us a call at 214-388-8838 to schedule an appointment to have your hot water heater installed. Need Fast & Affordable Water Heater Installation in Dallas? After more than 25 years of business, it is not surprising that Flow Plumbing has earned the reputation of being the best choice for hot water heater installation services in Dallas, TX. But it is not only our plumbing skills that make us stand out—at Flow Plumbing we take customer service very seriously and we strive to exceed all of our customers’ expectations. When you hire Flow Plumbing to install your hot water heater, you can count on exemplary service from the first phone call until your installation is complete. 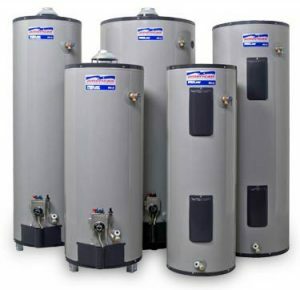 In all of our years of business, we have installed just about every make and model of hot water heater on the market! No matter what type of water heater you need installed, Flow plumbing can get the project done quickly and for an affordable price. We install gas water heaters, electric water heaters, and all water heater tank sizes. Our licensed plumbers are also highly trained and experienced in installing new water heater technology, like tankless water heater systems. If you know that you will be replacing your current water heater soon, please give Flow Plumbing a call at 214-388-8838! One of our licensed plumbers would be happy to talk about the process of buying a new water heater, explain the options available, and assist you in selecting a hot water heater that is high in quality and also fits your budget! Water heaters come in two different styles, multiple sizes, and can be powered by a few different sources. Amongst the most common water heaters in the Dallas Metroplex are gas and electric standard tank units, typically either 40 or 50 gallons. All water heaters serve the purpose of heating your water up to your desired temperature but can do so in different ways. With standard tank units water is stored in the tank which is the large cylinder unit, where it is heated and stored, ready to be distributed from faucets throughout your home. They have the dissadvantage of storing a set amount of water at one time either 40 or 50 gallons and can sometimes run out of hot water until the tank is refilled and reheated. A tankless hot water heater’s advantage is in it’s name; it’s tankless. This means that instead of storing a finite amount of water for use, it heats water on demand leaving you with a virtually unlimited hot water supply. Tankless units however, have the disadvantage of being expensive to buy, laborious to install, and are a relatively new and not always reliable technology. A standard hot water heater installation in Dallas might cost anywhere between $900-$1,200 including the water heater, drip pans, earthquake straps, and all necessary permits and documentation. A tankless unit can cost upwards of $3,500. The units are more expensive and the installation process often involves running new gas lines in a home.